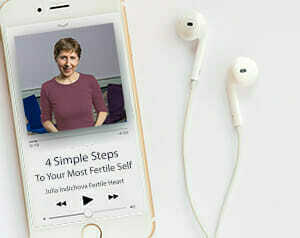 Our fertility support teleconferences and workshops are all about supporting you in becoming your healthiest, strongest self; supporting you in daring to defy statistics and other people’s opinions on what’s possible for you—whether that opinion is voiced by your doctor, your partner or your best friend. So join us when you’re ready. Better yet, don’t wait until you’re ready. Sometimes we need to leap before we think! – Julia Indichova & the FH Team.